And as always, DO NOT go and start making this a bashing DBAF page. We all know that the series is fake. This person is just a fan who wishes to go on with his/her own fanmade story. 10-30 minutes have most likely passed between my clicking to comment and actually posting. Curse my habit of thinking how to word my posts for too long! I just saw that yesterday. It's some really good stuff. Hopefully he sticks to this, and better yet, releases it printed! fps_anth wrote: I just saw that yesterday. It's some really good stuff. Hopefully he sticks to this, and better yet, releases it printed! Hopefully it doesn't get printed. We don't want him to get fined and he stops drawing it. Even without a translation its entertaining! Thanks for the second headsup, DaemonCorps. The first one was pretty good, but they jumped around too much to get what was going on. I'm curious to see what will happen with Goten and the Broli/Goku looking villian. You can call me Rick because I'm not actually Piccolo. Wow This is amazing! 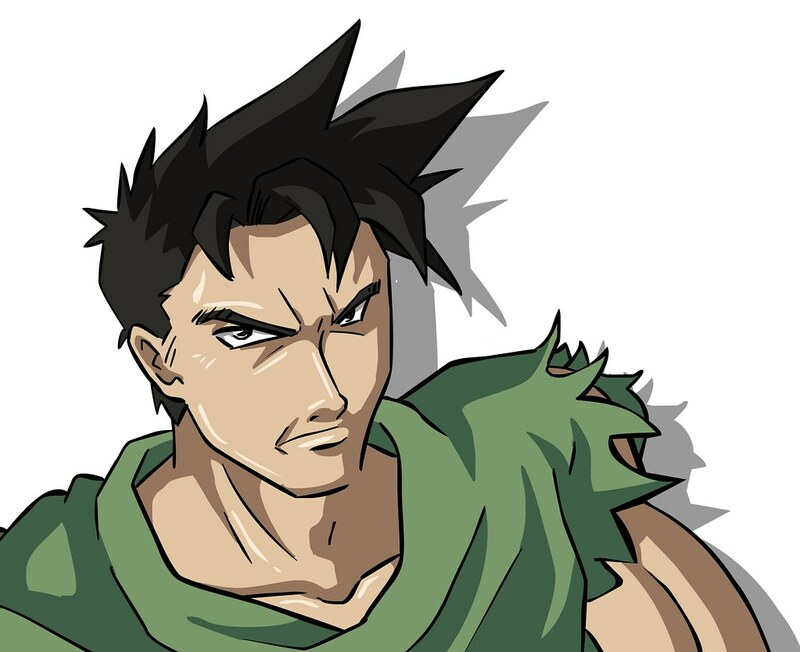 It looks very close to what Toriyama's style. I hope we can get a translation on this or a brief synopsis. Well, let's just hope that there are gonna be more new pages before posting in this thread is qualified as necro-posting, because although that was a good page and it is a very well-drawn manga, I don't think one measly page is enough for a whole thread. New to the forum? Just want to know when you'll hit your next posting rank? Ever wondered why some users have special titles, and what they mean? The answers to all these questions and more are waiting for you in the Kanzenshuu Member Hierarchy Guide!! Herms wrote: Really, you could translate either title either way and nobody would care. But God would know. I never liked those AF pictures. Yeah, and the bad guy looks kinda iffy. The Tori-bot wrote: Well, let's just hope that there are gonna be more new pages before posting in this thread is qualified as necro-posting, because although that was a good page and it is a very well-drawn manga, I don't think one measly page is enough for a whole thread. Looks pretty good.... I guess. 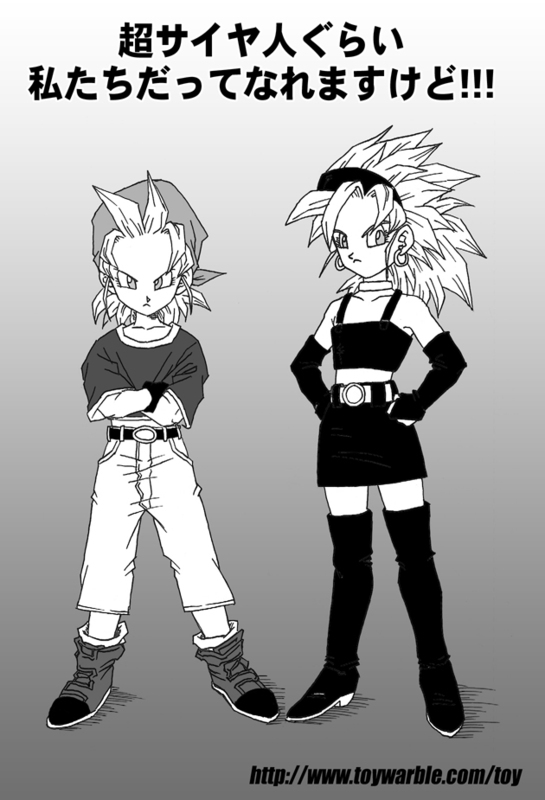 Hey I was checking out the "toyble" DBAF doujinshi, when I found this image of Super Saiya-Jin Pan and Bra. English (Not literally) - It is even possible for us to become Super Saiya-Jin!!! The page won't load for me for some reason. I don't know why it wont...did you wait for it to load? Also, why does toyble have pages 1-21 and then, what pages 57-59? Anyone else wonder about that tad bit of a gap? Haha, I've got an E-mail sent out to toyble (the doujinshi's creator)! We may be able to accually talk with him/her, maybe in a podcast too, haha. Let's put the story aside. Let's also put the whole AF thing aside. Let's look at the artwork. That's the thing a lot of us are liking. It's because it's so freakin' close to Toriyama's Dragon Ball art-style when he was still making the manga. Heck, this kinda even looks like recent Toriyama art.